Coors Cowboy Club Ranch Rodeo runs Friday and Saturday. Cowboys and cowgirls from 14 area ranches will compete for bragging rights Friday and Saturday at the annual Coors Cowboy Club Ranch Rodeo. 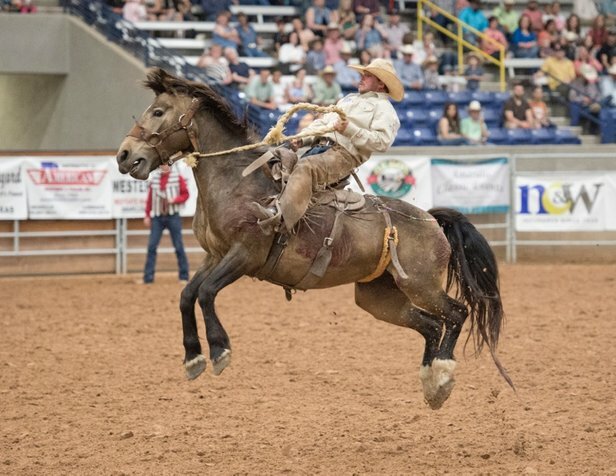 Rodeo action kicks off at 7 p.m. nightly in the Amarillo National Center on the Tri-State Fairgrounds, 3301 S.E. 10th Ave. But the fun begins at noon Friday and 8 a.m. Saturday with the Cowboy Christmas expo, as well as other activities throughout both days (see schedule below). "What sets this rodeo apart is that it's not a typical (Professional Rodeo Cowboys Association) rodeo," said Tod Mayfield, rodeo chairman. "It celebrates our heritage, our way of life ... and our area ranches." Competitors all come from ranches within about 150 miles of Amarillo, and they all work on the ranch. 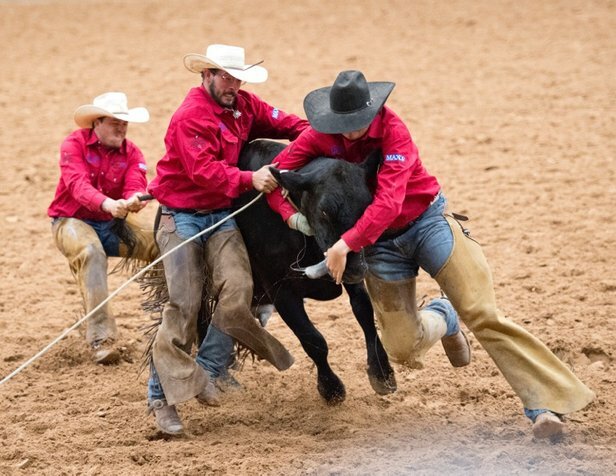 The rodeo's competitions are all derived from the daily activities the cowboys take part in, Mayfield said. "That's how they make their living," he said. 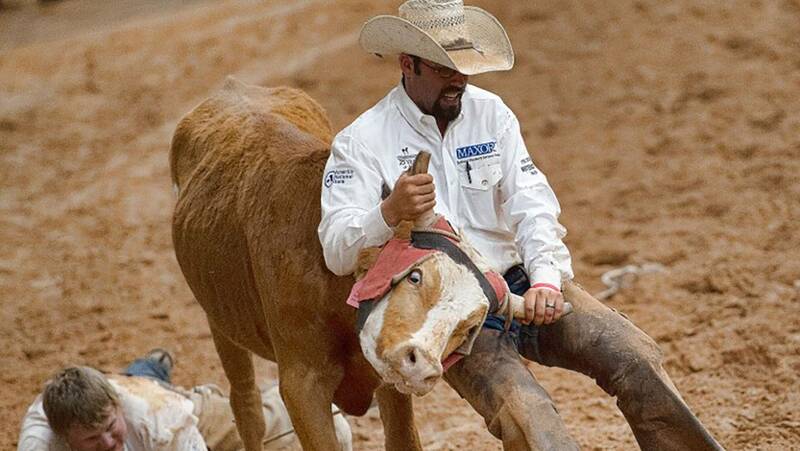 "They're not pro rodeo (athletes)." 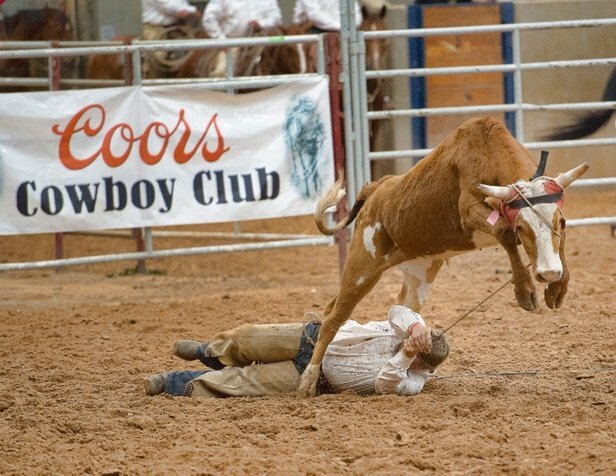 They'll face off in such events as saddle-bronc riding, stray gathering, branding, trailer loading and wild-cow milking. This year's rodeo also includes a chuckwagon cook-off on Saturday, in which teams will cook steak, potatoes, yeast bread, beans and dessert; they'll be judged on the quality of the food, their showmanship and the wagon's appearance. That food isn't available to the public, but Saturday's tickets include admission to a chicken-fried steak dinner with all the trimmings. Daily admission is $17 for adults or $7 for ages 7 to 12, including that evening's food and dance. Tickets are available through PanhandleTickets — 806-378-3096 or www.panhandletickets.com.